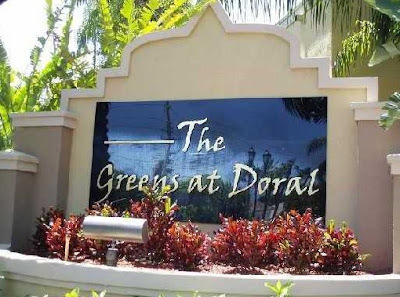 Known for its draw from business professionals who spend time in Doral, the Greens at Doral is a luxury condominium community within Doral Park Country Club. The Greens at Doral is a top choice for those who have offices in Doral and spend a lot of time here on business. The gated community features one and two-bedroom residences that range in size from 900 to 1,350 square feet in size. 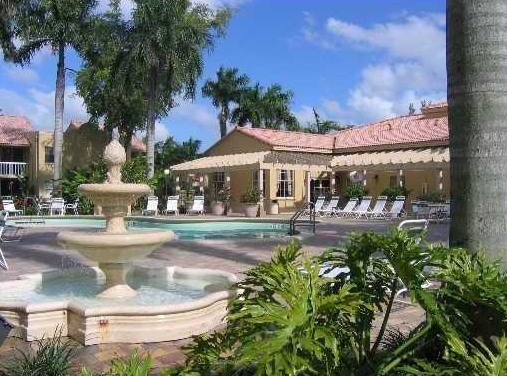 The community is centrally located in Doral and is close to everything. It is surrounded by some of the best South Florida golf courses with the Doral Golf Resort championship courses on the east and west sides of the community. Additionally, The Greens at Doral is within a 10-minute drive to the best Doral shopping and less than 20 minutes of Miami International Airport. 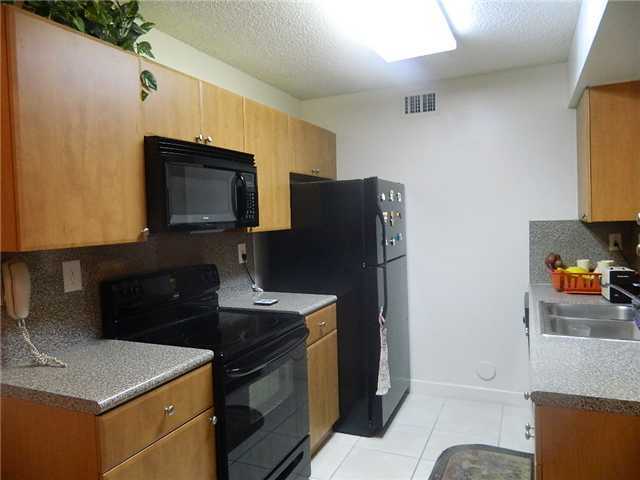 Its location provides easy access to the major thoroughfares into and out of Miami-Dade County. In terms of amenities, because the Greens at Doral caters to the business community, the community amenities are tailored to mirror those at resorts. Some of the highlights include a club house with a resident conference center, a fully-equipped fitness center, two sparkling pools with expansive sun decks, racquet ball and tennis courts, beautiful tropical landscaping and more. The entire community is gated providing key-pad access only to those who have the ability to enter the community. Inside each home, some homeowners have remodeled and updated their homes with new kitchens, new paint, and more while other homes still maintain the original fixtures and finishes feature ceramic tile floors in the kitchen and baths as well as kitchens equipped with energy savings appliances, European-style cabinetry and tons of counter space. Over-sized windows showcase the tropical grounds with some golf course views. The Greens at Doral features one and two-bedroom homes and includes some with a loft-style design. In addition to business professionals seeking a second home in Doral, the Greens at Doral real estate is an excellent option for first-time buyers and real estate investors. Currently, there are 10 units for sell with list prices falling between $150K and $249K. The popularity of the community is very evident as there have been 12 sales since 2013 with sale prices between $90K and $200K. Real estate in this community sells quickly with an average number of days on the market at about 45 days. The Greens at Doral real estate is a solid investment making them excellent options for investors and other buyers. The affordable list price combined with its popularity and strong rental rates are clear benefits for owning property at the Greens at Doral.